Every telephone marketing professional has at least one Telephone Marketingstory of a call recipient pretending to be a homicide investigator or putting their dog on the phone or of the apartment dweller saying they’d love to have new aluminum siding. But jokes and annoyances aside, telephone marketing is the second most common form of direct marketing after direct mail. Even now, in the age of portable internet devices and numerous choices in communications technology, companies continue to do telephone marketing, because it gets results. Telephone marketing is a form of direct marketing, which means that rather than using some form of mass media to reach consumers, companies contact consumers individually by mail, telephone, voice mail, or email. Despite the general unpopularity of telephone marketing calls and the 2003 advent of the national Do Not Call registry in the US, telephone marketing is still widely used. One reason is that telephone marketing is very “trackable,” meaning that it is easy to determine how many positive responses from consumers result from marketing calls. The history of telephone marketing in the US dates back to the year 1957, when DialAmerica Marketing, Inc. was founded specifically for that purpose. By the mid 1970s, telephone marketing was used by large blue chip companies like GE and Bank of America. DialAmerica Marketing Inc. also sold magazines over the phone, and when the Internet first started to gain traction in American homes, the company pitched America Online and CompuServe with their telephone marketing techniques. But by the 1990s, the telephone marketing industry had drawn enough complaints from consumers that the Telephone Consumer Protection Act of 1991 imposed rules for telephone marketing, such as specific hours when consumers could not be phoned, requirements for disclosing the name of the business on whose behalf the telephone marketer was calling, and an end to unsolicited marketing by fax. The 2003 Do Not Call registry allowed consumers to request that their names be removed from telephone marketing rosters, which did cut down on the number of potential customers businesses could solicit over the phone, but which also meant that telephone marketing companies could skip altogether those consumers who wouldn’t have been interested no matter what. But over the years, telephone marketing has been studied and analyzed and measured to the point that researchers have learned very well what does work and what doesn’t. Like writing successful Internet content, successful telephone marketing depends on filling the conversation with keywords and key phrases from the moment the potential customer answers. Telephone marketing that begins with the assumption that consumers need some product or service is generally not as successful as asking a question that the consumer might need help with, such as, “Are your electricity costs too high?” before explaining how the product or service can help. Telephone marketing professionals also need to make sure the potential customer understands what is being offered early on in the conversation. Some other techniques for successful telephone marketing have to do with more intangible qualities like tone of voice and enthusiasm. 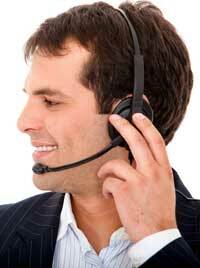 One reason telephone headsets have been so popular with telephone marketing firms is that the hands-free design helps the marketing professional use good posture and even use hand gestures, which of course can’t be seen by the customer, but which help convey a sense of confidence and competence. And quite naturally, customers prefer talking with someone who sounds friendly and pronounces their name correctly. Sometime telephone marketers make common mistakes like not introducing themselves to the person they’re calling. People want at least a name they can associate with the call. Another mistake is a telemarketer pretending to be someone they are not. While this may work in the immediate time frame as soon as the customer finds out that they’re not talking with a company vice president named Steve, their patience with the caller runs out and they hang up. Successful telephone marketers should know in advance the objections that the customer may raise and how to deal with each and every one of them. This requires the telemarketer to know his or her product exceptionally well. And, obvious as it may seem, a telephone mouthpiece tends to amplify extraneous sounds, such as that of chewing gum or crunching potato chips, behaviors which most customers consider rude. Telephone marketing has been around for half a century and it would not have lasted so long if it didn’t work. Though there are now challenges that did not exist before, such as Caller ID and Do Not Call registries, the skillful telephone marketing professional can still do his or her job effectively and increase sales using this method of direct marketing.